Whether it is your access control system or your remote backup solution, you can now manage all of your USB devices from anywhere in the world with the one and only FlexiHub. 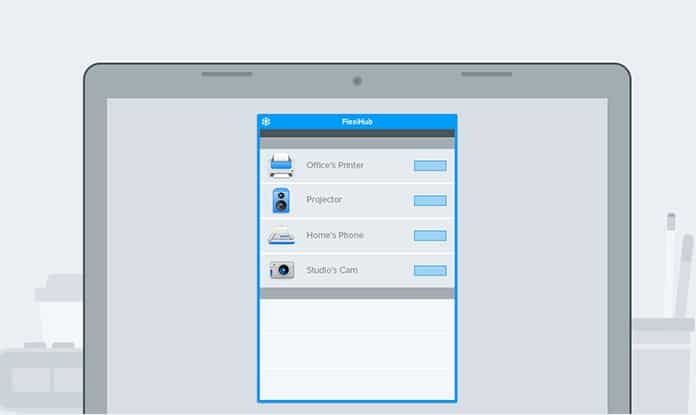 Here is an in-depth review of the FlexiHub software – our favorite USB over internet sharing app. What is the Concept Behind FlexiHub and How Can it Help? FlexiHub is basically a software, a technology that seemed very complicated when they started working on it but now it is becoming more and more easy to use with the passage of time. FlexiHub is now becoming a hub for millions and millions of USB and serial ports that can be accessed by you for your personal, medical, business and other management needs. 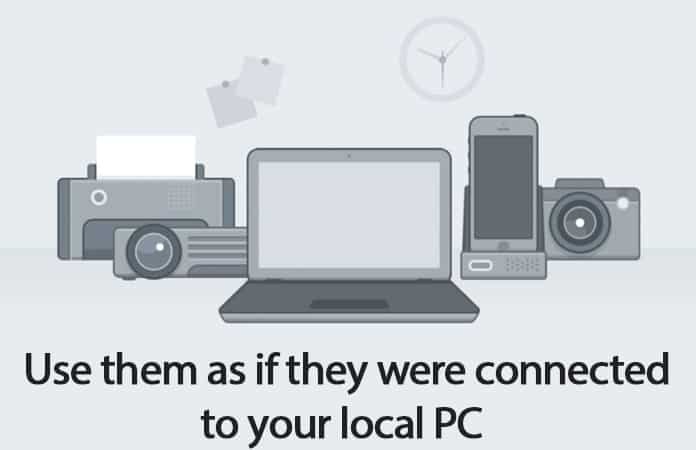 FlexiHub is more of a cloud now that is available to almost everyone in the world and it is perfect for those people and companies who want to manage their devices and share them with all the other users within a WAN or LAN. With FlexiHub you can share and move a huge figure of data in one place and use it as your remote backup solution. FlexiHub is that one platform that combines together, all the scanners, computers and other digital input devices and distributes them in the Cloud of serial ports and USB devices. 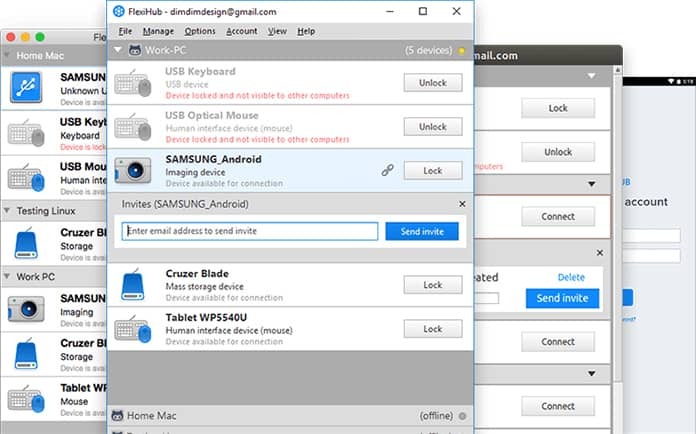 If someone wants to connect their computer with FlexiHub then you simply have to install a piece of client’s software.The management of your serial devices and USB ports is now very easy and you simply have to make FlexiHub account to gain access. You can connect all the nodes across your computer and then access them from any place in the world. The best part about FlexiHub is that your privacy and security is guaranteed, also, your data never leaves the computer unencrypted because the server connections are established using 256-bit RSA keys, so you never have to worry about your security because with FlexiHub software, you and your data are completely safe. If you want the best performance then your nodes should be in direct contact with one another. If your nodes are behind firewalls then the technology builds a proper virtual tunnel for them using some nifty algorithms. But in case FlexiHub fails to create that tunnel for you then it automatically switches to the server mode and lets your nodes communicate with each other through secure data servers. Who is Currently Using FlexiHub? Hospitals are currently using the FlexiHub software the most because a lot of precision equipment gets moved around there. There is a big figure of schools and hospitals in the US that is using FlexiHub in order to access the data of their real time patients and students. Now, when it comes to the most innovative use of FlexiHub then you can say that it is used in order to manage the collective impact networks on the international, national, community and state level. FlexiHub is a hub of innovation where all the data is collected and then analyzed in order to find and determine the relationship between key predictors of social impact. The results are then compared with the real time cost data available in the FlexiHub software, it also allows the collective networks to talk about the true impact of each invested dollar. How Did FlexiHub Software Start? Actually, when Serge Sementsov (CEO of Eltima Software) thought about the existing solutions in the new Cloud-based era, he came up with the idea of FlexiHub and it didn’t take him long to map it all out. However, the domain name wasn’t registered and there also wasn’t any trademark yet so he started the building process of this software very quickly. All of the processes took them a whole year because they had quite a lot of work to do, the coding from a flowchart of black boxes and then making the services workable was a bit difficult and it required time. 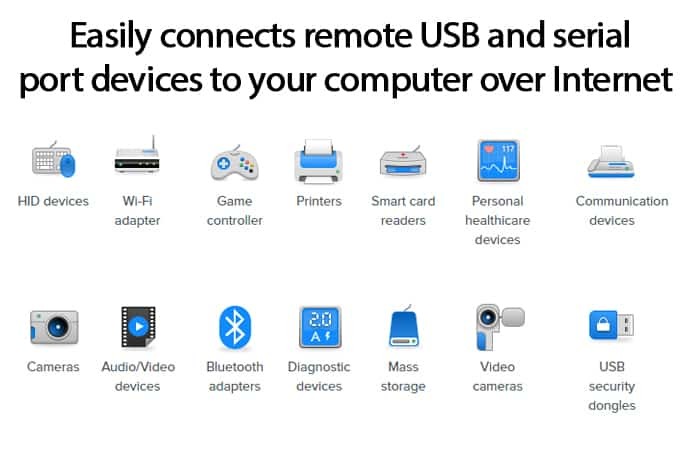 Every time, he used the term “existing products”, he actually refers it as the Virtual Serial Port Driver, the USB Network Gate and the Serial to Ethernet Connector. It’s not that they just recompiled all of the above under the name of FlexiHub. 5 professional developers from the Eltima in house team wrote down FlexiHub from the scratch. There is one common misconception that the modern computers don’t use serial ports. 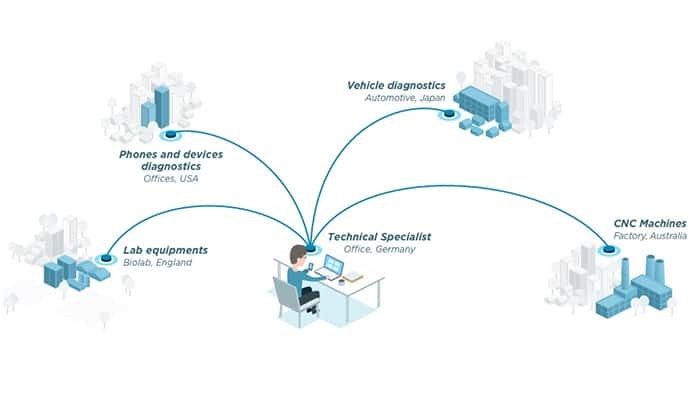 In fact, there are plenty of enterprises out there which are yet connecting tons of equipment to them. There is a big volume of data that gets transferred through these virtual ports created by the Eltima drivers. So, the idea of FlexiHub was just to move it all into the Cloud and turn it into a collective impact. That’s where it all came from. Serge Sementsov has been working with the Eltima software for about 14 years. He started there as a standard web programmer who knew about PHP, MySQL and he was a web developer too. After a year, he started writing and working in the tech support, also he started doing all the other major management stuff like user interfaces, product designs and project management. There came a time when they all realized that they have to expand all of it, so they started hiring more system programmers and increased their team members, at that time he got promoted to the post of CEO. Right now he is an executive consultant with a talented team of his own. A few years ago they used the term “shareware” for themselves but now they realized that it isn’t a good and friendly term for this era. Now they do not only specialize in web development in fact, now they are a proper team of technical professionals of beta-testers, UI designers, web developers, system software developers, internet marketing specialists and tech support people. Eltima has a total team of 45 people who are working in the US, Germany and Ukraine too. They produce different product lines and have been selling their software for about 14 years now. Many of their product lines were seen dying in the past few years but then they decided to launch many new product lines to make it all work. Eltima has always been great with system solutions, data sync and sniffing and they just love it. Well, there were two issues that FlexiHub software faced, one was the severe speed and the direct connections, both of these are connected to the rates of data transferring and this was the major challenge for them because all of these were time consuming and complicated too. However, they all managed to work hard and did a great job, so the challenges weren’t a big deal. Device support was also another challenge but they solved it all with the help of the USB Network Gate product so that wasn’t also a difficult challenge for FlexiHub. What Should We Expect From FlexiHub in the Future? FlexiHub will give more flexibility in the future, there will be new SDK for other developers, a new version of server side FlexiHub module and more certifications for Windows 10. So, yes, they are planning to expand it more and more and a wide range of facilities will also be provided to the users of FlexiHub.